GLOGIRLY: Happy Birthday GLOGIRLY: Comment-A-Thon & Giveaway! Happy Birthday GLOGIRLY: Comment-A-Thon & Giveaway! 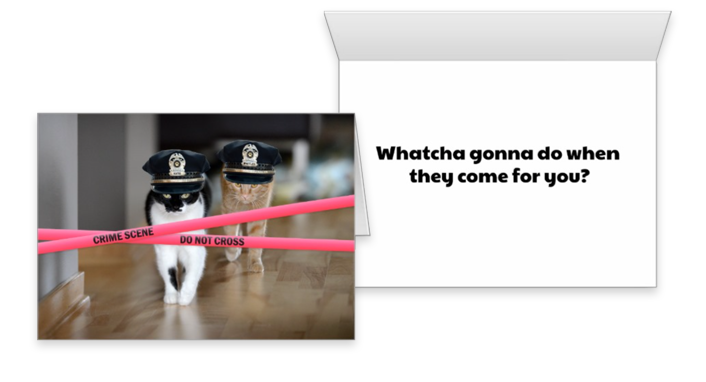 WAFFLES: ♫ Badcats! Badcats! ♫ Whatcha gonna do? ♫ ... Hey Boss! Do think I make a good Badcat? KATIE: Well, you make a good oxymoron. KATIE: Settle down, Waffles. An oxymoron is just a figure of speech. You know, where you take two words that look like they'd be contradictory and stick them together in a sentence. For example, "That's a FINE MESS you've gotten yourself into." WAFFLES: What do you mean? I didn't make a mess. Yet. Today. KATIE: And Badcat. That's an oxymoron too. WAFFLES: So Glogirly's birthday is an oxymoron on account of her name is GloGIRLY, but she's really OLD. KATIE: Waffles, that's the kind of oxymoron that's REALLY going to get you into that fine mess I was telling you about. Why don't we just wish Glogirly a Happy Birthday before it's too late. WAFFLES: You mean before she's even OLDER? It's a Happy Birthday Comment-A-Thon! We asked Glogirly what she'd most like to have for her birthday present. Despite my recommendation of a one-way ticket to Pricilla's Goat Ranch for Waffles, she settled on something really special – helping our kitty friends that don't have homes. 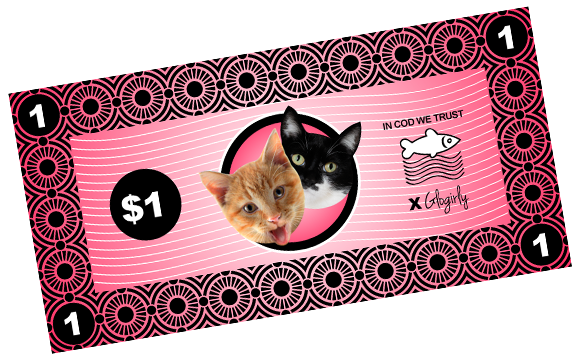 For every comment you leave for us today, we're going to donate $1 to help the shelter cats of Minnesota's Feline Rescue! We're hoping you'll tell all your friends because Glogirly wants a REALLY nice birthday present. ♥︎ Tell us about a cat you rescued. ♥︎ Tell us about a cat who rescued you.
. . . it's a GIVEAWAY! TEN lucky GLOGIRLY readers who leave comments today will be randomly selected to receive one of our exclusive photo greeting cards from our ZAZZLE shop. It's a brand new design and we think you're going to LOVE it! This giveaway is open worldwide! We can't tell you how much joy your friendship and readership brings us each and every day. This is just a very small token of our appreciation. LET'S GET WAFFLES ON THE NEXT CAN CANS!!! You helped us before and we WON! 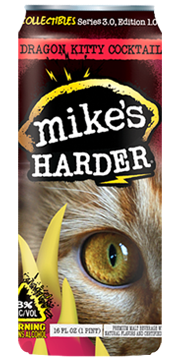 "Mad Kitty Cocktail," featuring Waffles, will hit liquor store shelves this fall. Now we need you again... Please help us get Waffles on the new dragonfruit flavor from mike's® HARDER next spring! You can only vote once for each can design. HUGE thanks to everyone who's already voted. Happy Birthday Debbie, I hope you have a wonderful day! Since the entire Crew are rescues, it seems a little redundant to talk about them again.. I've never had "street cats" before my current two, but my "Boyz from da Bronx" (rescued at different times by different organizations) are the lights of my life! Billy and Pekoe and I wish you a very happy birthday! Faraday: SERIOUSLIES?!?? I share a Birfday with GLOGIRLY??? Coolio !!!! Happy, HAPPY Birthday to one of our very most favoritest people on the planet! Well, well, well, Our birthdays are a week apart! July has the best birthday people. Lots of commentathons this month hooray for helping shelter cats. Here's hoping you love your "birthday present". We know all the kitties you help will enjoy it too. Happy Birthday, Debbie/Glogirly!!! Have a great day, filled with love and cat hair. And CAKE. Happy,Happy Birthday Glogirly. I hope you have a most wonderful day. You bring sunshine everyday with the antics of Katie and Waffles. Eat lots of cake and ice cream! Very furry birthday wishes. Maybe it be purrfect in every way. My birthday is fast approaching, too fast! Are you more Cancer or Leo? All of us are rescues too! Meowm says she wouldn't have it any other way! Happy birthday Glogirly! All my kitties have been rescues and if I start telling their whole stories, this will be a really long comment. Anyway, I want to mention them cause I love them, even if some of them arent with me anymore :( First, my beautiful Katy, Kitana, Honey, Mia, Dirk, Mugi, Sheldon, Romy, my many fosters and extended family, niece and nephew kitties, I love you all so much! From Grit, who rescued my husband and turned him into a cat man. From Tonka who rescued my broken heart, who brought in Juniper Hoot who then brought in Junah we all are rescues and we all wish you the best of birthdays! Sending Best Fishes to Ms G! We have a fabulous gift we can fedex directly! We can even toss in a kittentot sitter for them! Happy Birthday! Have a lovely day. I had the most wonderful cat called Harvey who turned up on my doorstep when I needed him the most. Both of my cats are rescues, and one of them, Maya, is snoozing on my bed right now. She's ten this year, she's black, and you can absolutely tell she's part Siamese because she is Very Very Vocal. Extremely Vocal. You'd also pick up on her Siamese heritage from her apple-shaped head and oversized ears and eyes, but her mouth definitely gives it away. Good thing she's a sweetheart, loves attention, and behaves herself. That definitely helps to balance out the NOISYNOISYNOISY when her mouth won't stop some days. Maya decided I could be her human when she was six months old, so I've had plenty of time to learn to...love the way she sings me the song of her people so often at such a volume, and to tell what are her usual kvetchings that can be ignored (about being held even though she's not making any attempt to get down and her body language/whiskers/ears all tell me she isn't feeling upset or conflicted; hasn't received attention in the last two minutes; Mommy, how dare you move me like that?!?) and what actually means something (much less common). I have no idea what I'd do without my noisy, lovely, silly, sweet, devoted, loyal girl. I love her veryvery much and she's my ten pound shadow and partner in crime. I originally adopted her because my other cat, Sam, was being clingy and I figured he'd like a friend to keep him company, and he needed to lose some weight, so a friend with energy would be nice because a friend with energy would (hopefully) get him playing. When I encountered Maya at an adoption event (which I was at to sign some paperwork for my parents to finalize a long distance adoption, which is another story worth telling), that she was high energy and playful was a point in her favor. The joke was on me, because Sam proved to be resistant to Maya's kitten energy. Maya LOVES the Cat Dancer these days and she gets quite intense and energetic with it. It's not unusual to hear her hiss at it, which cracks my mom and I up every time. It was a nasty, cold, windy day with snow coming down hard and 6 inches already on the ground. We had to get to work. As I opened the door to leave, a calico kitten just walked in and walked right to the kibble bowl like she already lived there. I couldn't do anything but send a quick prayer that the kitten wasn't sick and that the 4 that already lived there didn't kill her before we got back. The kitten was fine, the others were fine with her and I named her Winky cos She winked at me all the time but I mostly called her Boo. We wish your Mum a very Happy Birthday and hope she has a great day. I've always loved animals but during high school we lived in an apartment with a no pets policy. A skinny little tortoiseshell cat from the neighborhood who I called Raisin visited me every day...making it almost like having my own cat. A very Happy Birthday to Glogirly. We sure hope you have a fantastic day and thanks for the doing the commentathon for the rescue. That always makes us happy. There are 25 cats here who have adopted our Person. Kind of crowded but most of us live outside. Happy Birthday again Glogirly!!!!! We love you!!!!! Wishing you a very happy birthday, Debbie! It's hard to think of our cats, Tommie and Mickey Mouser, as rescues, although they both started out as ferals. They bring so much joy, we don't know who was actually rescued, us or them. It's just like you to celebrate by giving presents. Our handsome ManCat Raz is a rescue kitty. Mom's had lots of them over the years. Have a fantastic birthday, Debbie. Here's wishing you a ton of kitty kisses and a fur-free cake! Happy Birthday- what a wonderful way to celebrate by helping kitties. I have 4 amazing indoor only cats. My cats are my best buds. They are all rescues and are very spoiled! Bubba is my largest weighing a hefty 21 lbs. He is a solid black domestic short hair. He was rescued from a sewer pipe by me when he was just a small kitten. Little is a sweet , shy tabby who was rescued from my best friend’s nasty neighbor’s garage. Chester is a brown tabby that I personally rescued off of a busy median. He was just sitting in the grass on the side of 2 busy highways. It took me about 5 minutes , but I was able to grab him , bring him home and clean him up. He’s never been happier now. And finally, my tuxedo dah-lin’, Ryder. She is a handful! She’s very snobby, and overbearing. She has a personality for days and always gets what she wants. 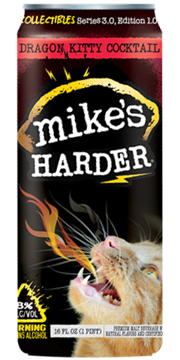 My cats love to eat and would love to try this food. Thank You and Happy Birthday to you! We hope the commentathon is a HUGE success and lots of green papers get donated to the shelter. pee ess...our favorite oxymoron...Jumbo Shrimp! Waffles you better stop why you are ahead or you may not get any older. Ask Katie if you don't understand. Happy Birthday Glogirly!!!! we are sure you are just a young whippersnapper no matter what Waffles says. We are just going to share something funny Mommy went to Petsmart the other day and they are very bad as they DO NOT have any kitty puzzle feeders so Mommy got Scylla a DOG puzzle feeder. Scylla reports that it is not puzzling at all. Happy Birthday to Glogirly. We know you have a lot of special things planned for her today. Happy Birthday GG! Hope your day is special like you certainly are. Happy Birthday Debbie. May your day be blessed with love and joy. I rescude Tubby from outside. He was a stray and would visit our house and one day I let him in. I just couldn't let him fend for himself anymore. I thought it was a young kitten cause he was so small, skinny,covered in fleas,and dirty. Turned out the vet said he was about 7 months old. We got rid of the fleas,fixed, and got him healthy. He has now been with us for 3 years and he is a character and has endless energy. Happy Birthday Glogirly!!! We hope your special day is very special, just like you! Have a very Happy Birthday!! You birthday offer is so generous, the rescue is lucky to have you supporting them. All my cats have been or are so special,each intheir own way. I couldn't pick just one. Happy Purrthday to GloGirly! We are happy she resQ'd Waffles. Another ginger bring love and joy to all. Common sense. Not common at all! Happy Birthday to you GG!!! At some point you could switch over to GloGranny? LOL. But not anytime soon! Angel brandi,of course, was a rescue kitty. And me, Quinn, claimed my mommy from the wonderful Feline Rescue of St. Paul! Enjoy your special day. Thanks for helping the kittehs. Happy happy B Day Miss Glogirly. Thank you ever so much for helping cats waiting for a furrever home. Happy Birthday, Debbie! Katie, Waffles, and Gloman best be treating you like royalty today. You're an inspiration and a dynamo! All four of my cats are rescues. Dawn and Athena are siblings, and Calvin and Elsa Clair are as well. What a great idea to make a donation to a rescue organization! Happy Happy Birthday from the Cat Sitter!! Enjoy your special day with your loved ones, you're the best!! Happy Happy Happy Birthday!!!! Aroooooooos! I think the commentathon is such a great idea! Thank you all for making me smile everyday!Be sure to give Glogirly lots of birthday love and chin scritches! Happy Birthday! What a cool way to celebrate! I think Waffles needs to learn that you don't make cracks about a woman's age or weight. Fortunately, he's so sweet that he can just barely get away with it. Today is our Gracie's 9th Gotcha day, it will be our first (in a long line of firsts) without her. So, I'm just remembering her sweetness. I'm not too lucky but if I did get chosen because Rene lost Tucker today I would really like for her to be given the special Glogirl card. Thinking of both Gracie and Tucker today. Happy Birthday amazing lady. What a lovely way to honor the day that gave you life :-) to share it with others who need help. My story is of Bunnycakes. She was a gift for my daughter on her 18th birthday. The tiniest kitten at the adoption event. Everyone passed her over, "too little, too frail, not that cute, etc" When we saw her, our little girl came right up to us and started to purr. She had no interest in anyone else. When some others saw this, they came back over and started to reach out to her. Bunnycakes ran right to us and then looked back to say "not YOU, I want these humans to be my family!" We quickly took care of her paperwork. Little did baby Bunny know, she was coming home to FOUR older brothers! And yet, they all fell in love with her and took care of her. She is still with us and while she's mostly cranky, opinionated, and sleeping, she has moments with kisses, purring and sneak cuddles. (She will sneak on the bed when we are sleeping and curl up to our chest or small of the back) BooBoo BunnyCakes is the only girl kitty, and our little Queen! I too love Feline Rescue! I adopted my sweet Cosmo, he's actually a foster failure,from FR Outreach program. They do amazing work with fosters and TNR of community cats! Youngest to oldest: Our big brown tabbie Castiel was the last of a litter still in a shelter. He was 11 months and had lived so long in a cage, he had to learn how to jump high. Our orange tabbie was found on the street at 3 weeks by a wonderful lady who fostered him, and we adopted him at about 3 months. And our three black kitties were found by the side of a road at 5 weeks near their momma who had been hit and killed by a car. My daughter called me and said "I have a little problem. Actually, I have 3 furry little problems." But they weren't really problems at all. Happy birthday from George and Cosmo! Hope you have the greatest of birthdays today. Our first furbaby, Din was a throw away kitten. He and his siblings were put out to die when the family moved away. He was about 3 weeks old, oh so tiny, but such a love bug. He's now 15 with cancer, but so loved. We are doing a bucket list for the old boy. The younger kitty Fionna was a barn cat. She's 3 and the hunter. If there's a bug to be found she'll get it and eat it. Both love one another in fact Din a boy kitty would let Fionna nurse on him when she first came to live with us at 9 weeks of age. She still will attempt to nurse, but the old boy will tell her NO with the smack down. Oh, and Din is a Tuxie like you miss Katie. Again Happy Birthday and here's to many more. Happy Birthday Debbie! Have a great day. My first rescue cat was a pair of kittens - Parker and May. Parker died of FIP and he is the reason I hope we can find a cure for FIP! Happy Birthday to Glogirly! What a thoughtful and wonderful gift for the Rescue. We hope her day if furry special. Wow. You certainly did well with your commentathon! It was my birthday earlier in the month and I didn't think to do anything cool like this! For now we shall say Hip Hip Hooray Blessings your way!! Happy Birthday to my favorite Glogirly! Happy birthday, Glogirly! I am so happy to be part of your birthday celebration. As you may know, I've rescued more than one kitty! Three of them are part of the Squeedunk Gang--and there are 5 total in the Warehouse apartment. Today I'll talk about Manhattan, because as you know she has a *major* crush on Waffles. Manhattan is a tuxedo and she lived under my building. I would feed her (along with my cat partner in crime, Natalie). One day, after she had been missing for a week, Natalie and I went under my building (no easy feat in this historic, concrete structure) and found her badly injured and starved. We were able to coax her using anchovies and flipping the trap over (little stinker wouldn't go all the way in...) 10 days later (two hospital stays) she moved in with me and became #3 of 5...I love every moment about our time together. She still chases sunbeams like she did as a feral baby. She's a total princess now, and a big, mushy snuggle bug. Every kitty deserves to be rescued from life in the shadows. 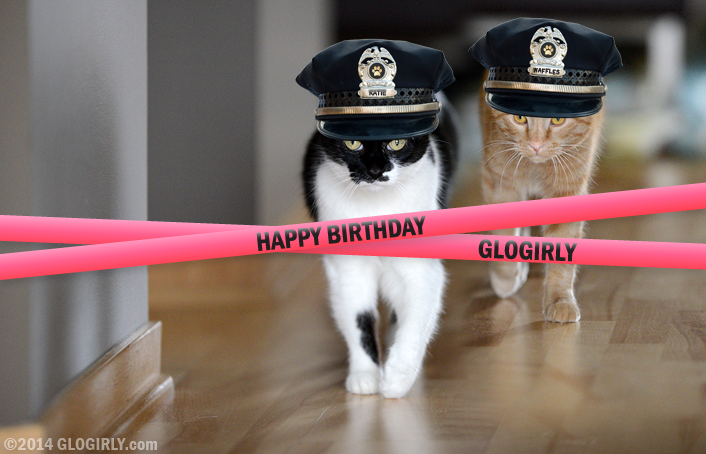 I hope your birthday present is GIHUGIC and that many feline lives are improved as a result. Happy birthday, from Z-Girl and the whole crew. We love you!!! I am a french cat, and a good one, as cats cannot be bad ! I have learn something today. In french and in english we use the same word, oxymoron (or oxymore). PS : Comment-a-thon .... something to do with tuna fish......! Happy happy happy happy happy happy happy Birthday, from the SIX rescued cats that share my island home, with many happy returns from the "neighborhood" cats who shelter on the porch. Our little group is comprised of cats taken in because their owners were leaving the island, strays who needed a home, and now-grown-up kittens that were born to the neighborhood mama calico. Home would be incomplete without them. Happy Birthday Glogirly! May your day be filled with purrs and kitty kisses. Happy Birthday Glogirly/Debbie! I hope you're having a pawsome day! Happy Birthday Glogirly! Thanks for all the smiles and laughter you give us with Katie and Waffles. Hope you're still having an awesome birthday! LOL! Oxymormon. Happy Birthday Glogirly! I'm not as into cats as much as I'm into dogs, but when I worked at a high kill shelter years ago, there was this cat. She was a 6 month old tortoiseshell stray and had been put into rabies observation for scratching a child. When her 10 days of observation was up, I was cleaning the cat cages when the techs came in to euthanize her. I cried, "No, not that one!" and took her home to a house of four dogs where she ruled. Happy birthday to your glogirly! Happy, happy birthday, Debbie! I hope your birthday is just as wonderful as you are!!! Happy happy happy birthday Glogirly!!! We are all rescues....from the permanent cats to the foster kittens. Kisses for giving back! Happy Birthday Glogirly!!! My Furrever Purrrson is a Failed-Foster-Mom...she just keeps the foster kitties. What's WITH that??! And somehow the 3 we have now are all Boy Cats. As the only girl, I had to put my paw down - no more BOYZ! I hope you're having a great birthday, Glogirly, and thank you for the comment-a-thon! I'm currently the human of 7 indoor cats, all rescues. Three came from shelters, one was a foster failure who'd been found in a city alley by a restaurant, one came from an overwhelmed rescuer who had way more cats than he could care for, and two came (separately) from people who said they couldn't keep them any more. I also care for 5 backyard ferals who were relocated here when their original home became dangerous. On 4th of July weekend my son and I rescued a kitty from a parking lot and the rescue I foster for will find her a forever home. Happy Birthday, Glogirly!!! we hope you are having a specially wonderful day! Happy birthday, Glogirly! We love you, dear friend! HAPPY BIRTHDAY GLOGIRLY! Hope you got nip. Oh Hoppy Birthday Dear Glogirly! Hopefully it's the literboxes where the cats pooooo! How in the hello kitty did Mommy miss the birthday edition??? Well, here we are! Happy Birthday Glogirly! So, Clementine and I were out for first ever neighborhood walk at 11PM. About five houses down, she stopped and looked very intently into the dark behind us. I shone my flashlight and saw two reflected eyes. Every time she stopped to sniff a mailbox, those eyes were just as close behind us. We walked 10 houses down, and 10 houses back and the cat followed. I out Clementine in the house, went back out, and picked up the beautiful, furry, thin black cat. I took him into the computer room, closed the door, and fed him. He devoured the canful of food. He was very loving. I watched for Lost signs for three days, and there were none. I took him to our vet, and made sure he didn't have a microchip; he did not. But he did have a respiratory infection and a bad case of ear mites. He ended up spending six weeks in quarantine in the computer room, and we named him Tom Hanks. He was about 7 or 8 years old at the time. We would love to know his story (or maybe we wouldn't love to know.) He was in need of so much and just knew to follow me! Even though we have nine rescued cats, Tom Hanks is my favorite fur child with his gentle, loving demeanor. I adore him, and I'm so glad he found me!! Happy Birthday Glogirly!! I'm sorry I'm late. I guess it is Sunday for you already. Well it is here too but it's bedtime. Ah, Katie, you are so patient with Waffles!! Waffles, you little silly guy! I'm sure you funny kitties gave lots of unconditional love to Glogirly on her birthday! It's a very special day. But Waffles, you don't tell a lady she is old! I get lots of unconditional love here too and also my husband from our three rescued kitties. The love of our lives! Frank was rescued by The Westminster Pet Sanctuary here in Ontario, Canada and same goes for Jack by the same Sanctuary. They are awesome and the best is that they let us adopt them and they have filled our lives with joy and fun!! And our little Samantha (my girl!) and the love of my life, was rescued by a Good Samaritan who spotted her alone on a busy intersection when she was just a little baby and brought her to The Ottawa Humane Society. When I saw this sweet little girl bouncing around, playing by herself in her cage I just had to have her! She was mine mine mine!! She's got some street smarts this cutie! The boys do not mess with her. Like Katie! So Glogirly, I am sure all the comments made your day because you are a kind loving animal person. Hi, Glogirly and the kitties. 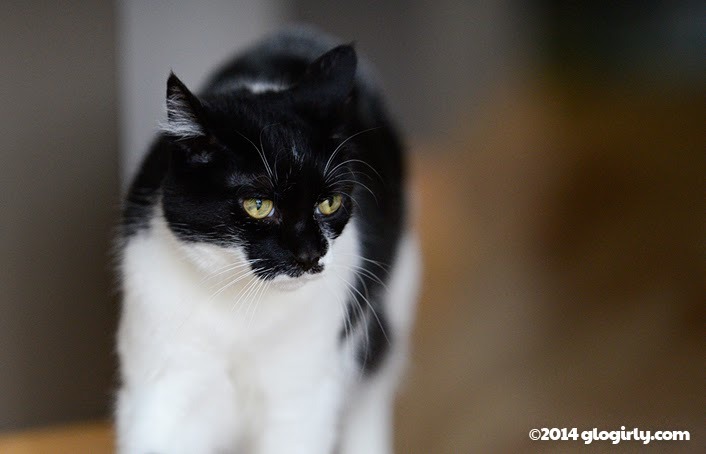 End september, one of our kitties, after having spent 15 years with us,went to the Rainbow Bridge. AT the beginning of October, a colleague told us she had found a very little kitty in a street in a city, but could not keep it. We fetched the kitty, as it was described as a tuxedo, I was sooooooo happy (I love tuxies), but it was... how to explain... a very special kitty, mainly white, with grey/brouwn/pink ears, a totally white tummy, three heart-shaped patches on her back and a totally grey/brown tail. I went to the vet with her, when I reached him the basket, he said "eh, there is nothing inside" he told us she was only 5 weeks old, she could not pee by herself, nor eat hard food. We love her to bits, she is very special to us (but our three other cats are also special...). Yay - I just read your birthday post today, but saw that I was too late to comment and now I see that it isn't too late!! Glad you had a lovely dinner to celebrate and I know that Waffles knew he probably couldn't get any tenderloin anywys. Thanks you for blogging - it's one of the highlights of my day. Here's to a happy birthday and many many more!! There's a fabulous patch of blackberry bushes behind a vacant house hissing distance from my apartment, so I've been over there every day for the past few weeks or so, braving their thorns to reap the tasty, tasty seasonal offerings. I'm also pruning the patch and weeding around it, because God knows it needs it (the whole yard is my seasonal project, but that's another conversation), and while I was clearing things out at ground level near one end of the patch about a week ago, I came upon several kittens playing in a small blackberry cane-free area by the house's foundation, next to a hole that went under the house's side porch. Dimly, in the hole, I could make out a few other kitten faces staring at the Big Strange Creature (read: me) that had been making so much noise outside. I'd seen a black stray around the house, so this explained why the stray was around, where it had been going, and what gender it was. When I got home that evening, I contacted a rescue in the area I knew of, but they were full up and said other rescues were in the same boat, and the county's humane society was also at the brim with kittens. It's the worst kitten season in years, I was told. Well, darn. Now what? A few days later, I was working in the yard, weeding and trying to make things look better when a guy comes strolling up and asks if the house is mine. I tell him it's not; just trying to make the yard look good. He asks if I've seen a black stray around and explains he's looking for where her latest litter is; he's working with a rescue to trap her and the litter so she can be spayed and the kittens adopted. I perk right up because now he's speaking my language and telling me exactly what I want to hear. Yeah, I've seen her, and I know where the litter is. Follow me, I'll show you. He and I got to talking and it turns out he lives in a house that's very near the complex I'm in, and he's been trying to catch Mama Cat for a while. I got the name of the rescue he works with and contacted them about working with him to catch up Mama's most recent litter. I've been able to scoop up some of the kittens with my bare hands, so I'm going to catch up as many as possible that way and take them over to Dave's, and someone from the rescue will come and pick them up to take to foster homes (I can't for several reasons. I'd love to, though). A rescue story... well, Miss Kyra was found in a car motor. Unchipped and unclaimed, she has been with me for four years now. I think she is around 5, almost 6. I think our best rescue story was the kitty we took in when I was about ten. My mom didn't want anymore animals, but when my sister and I came home with the story that three kids from around the block had a kitten on a rope and were dragging her behind their bikes, mom immediately went to investigate. The rope was around her NECK! And they also threw her up in the air without catching her. Mom went to their mother, and when it was obvious she didn't care, asked if we could have the kitten. She lived a long and happy life with us. Although her meowing vocal cords were damaged for life and she had broken something once, because you could feel a bit of bone around the hip that wasn't there on the other side. She remained a little squiddish. (Not to me though, she loved me!) Thankfully that family never had another cat. I hope your birthday was fab-u-lous! While we don't own a cat now, we have never had anything but rescue cats when I was growing up. Most showed up at our doorstep (for months before we'd know it was a stray), as we lived near a couple of large farms. We would keep an eye on them from afar and then once we knew they didn't belong to someone else, my mom would take them in. My mother has always taken in stray animals of all types her entire life - I remember one year , she even helped a turtle get back to where he/she could be released again - vet visits and all. My most favorite cat, as a child, we did get from a rescue - Cleo, a lovely calico. What a sweet birthday, idea, GloGirly. May your entire birthday weekend be wonderful! Sorry for the late birthday wishes, Glogirly, but I was on the road all day yesterday driving rescue dogs and didn't even read the post until this morning. Birthdays are interesting. We get to an age where we dread them (as is my case), but still love them. Hope you had a great one! Happy birthday, Glogirly! Hope it was a great one! I wished your mommy a happy birfday on FaceBook but I am here to wish her a Happy Birfday again and...where's the beef? Happy birthday from me and all our Good Cats! Each was homeless for awhile before we adopted them. Well, actually Kelly adopted us. Happy Birthday Glogirly! My Henry & Fiona were feral kittens brought into the Animal Ark in Hastings, MN, nine years ago. I think they're still a little wild at heart! What a wonderful "gift" to yourself this comment-a-thon is! Hope your day was a very special & happy one! We're sorry we're late but we read the commentathon continues through the weekend. So we're not actually late, are we? Except for Glogirly's birthday. A slightly belated happy birthday! A belated Happy Meowy Birthday from me - and Julio, Maude, and Scarlett. I was out of town midweek, then at the shelter all day yesterday. We hosted the Friendly Streets Initiative Block Party in the parking lot. Just now checking emails! The shelter cats also send birthday greetings, especially Lulu who, apparently, ordered herself one of those Cat Balls. She loves it! HAPPY HAPPY BELATED BIRTHDAY!!!!! I KNOW you had to have had an amazing celebration! Hope it was great! Happy Birthday to the ever youthful and totally amazing Glogirly!!! May you birthday be full of joy and may your oxymorons diminish. Harvey is 9 and had a heck of a time before he came to us at Dash Kitten. Before he passed away, Dash approved of Harvey and they even chowed down together. Harvey sits on Mum's lap in bed sometimes and simply purrs. She tells him 'Harvey you are Home At Last'. Happy Belated Birthday Dear Glogirly! And many more...I'z got my jazz paws going for ya bigtime and hope your day was awesome! Wishing you a year ahead filled with many blessings. HAPPY HAPPY belated BIRTHDAY GloGirly ! Happy Birthday! We're sure Waffles got himself in even deeper!